Pennyroyal plant, Mentha pulegium, is the smallest of the mints yet the most aromatic. Ideal for use in rockeries and paths where it releases a refreshing peppermint- type fragrance when walked apon. Deters ants, flies and fleas. Infusion of leaves used as rinse to protect pets against fleas. 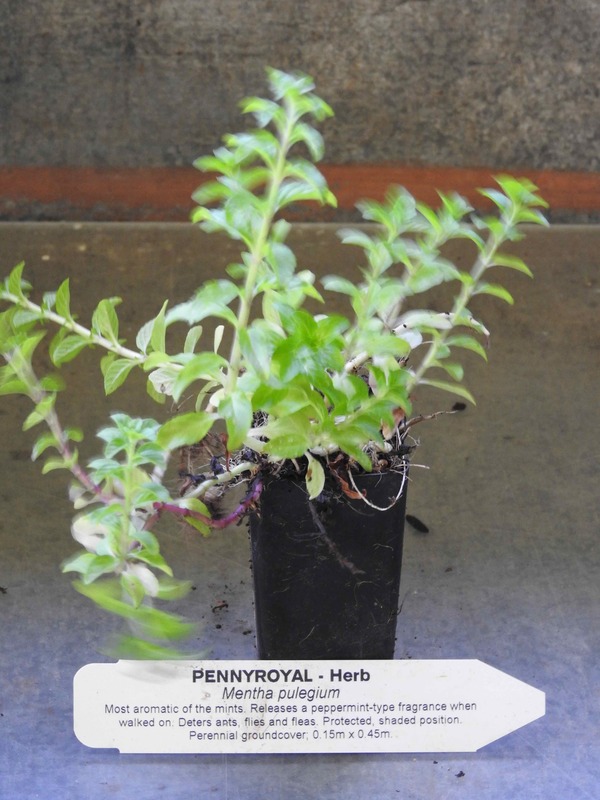 Pennyroyal plant is a native of Europe and Asia and prefers moist, rich soils in a protected, shaded position. Frost resistant but drought tender. A perennial ground cover, growing to 0.15m x 0.45m. Be the first to review “Pennyroyal, plant” Click here to cancel reply.